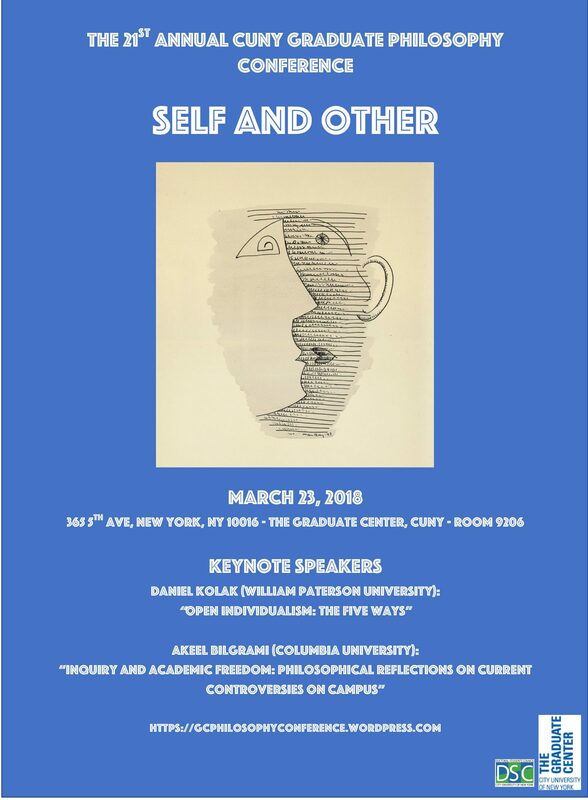 The 21st Annual CUNY Graduate Philosophy Conference will take place on March 23rd, 2018 at the CUNY Graduate Center (365 5th Avenue). This year's theme is "Self and Other", broadly construed. 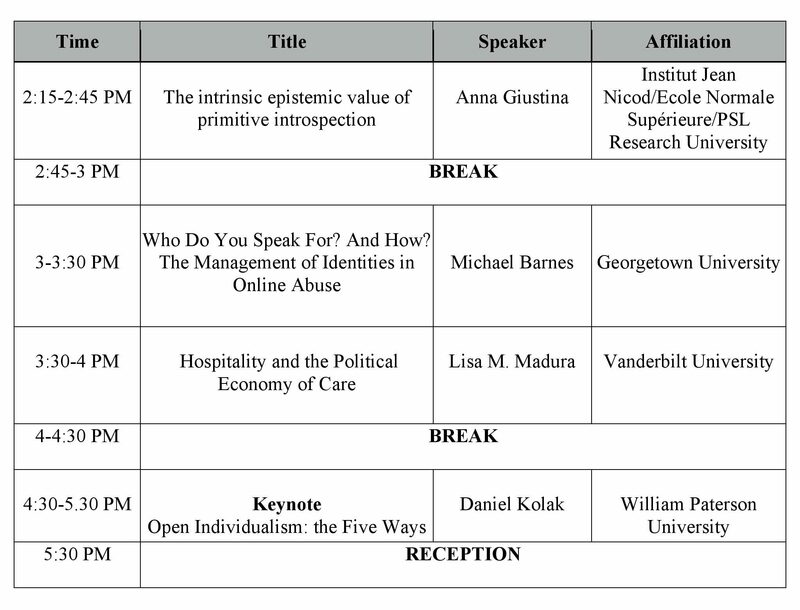 The program below features Dr. Akeel Bilgrami (Columbia) and Dr. Daniel Kolak (William Paterson University) as keynote speakers. Eight graduate students from departments across the U.S. and abroad will give 30-minute talks spanning a broad array of philosophical research areas. 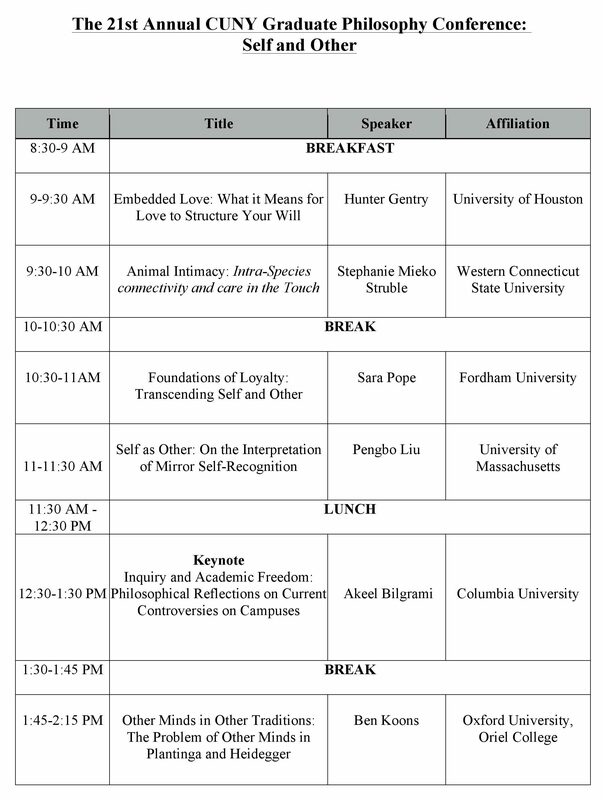 Click the links to download PDFs of the the conference flyer and schedule of talks.